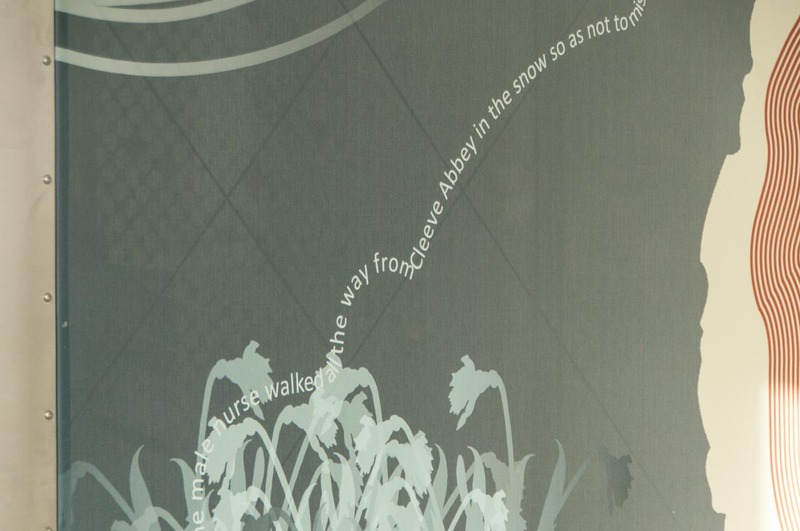 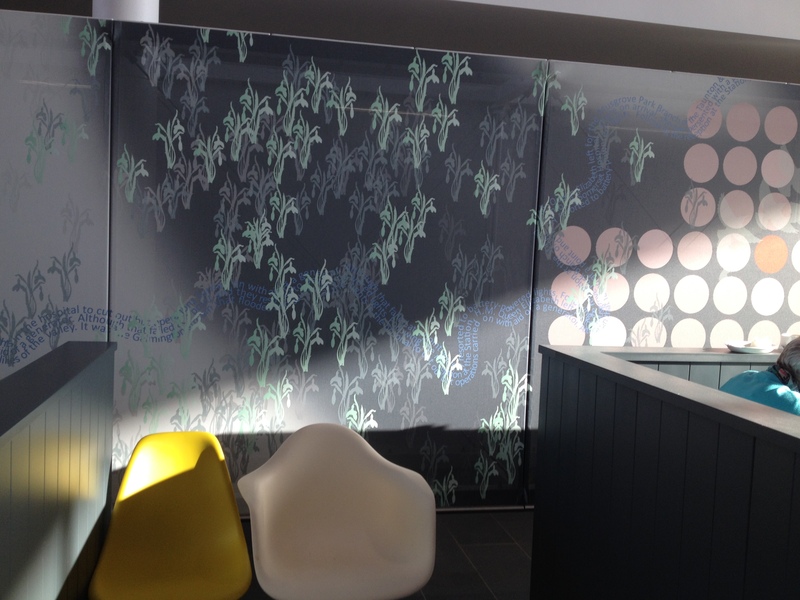 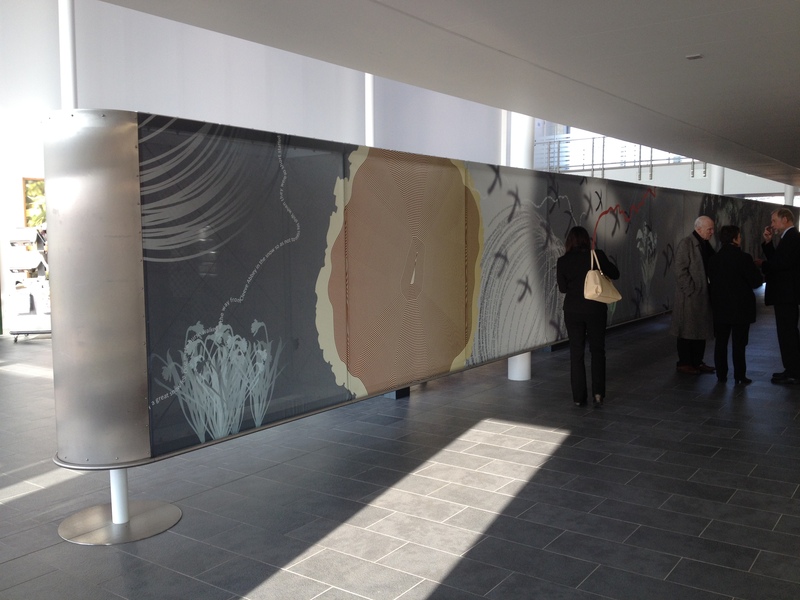 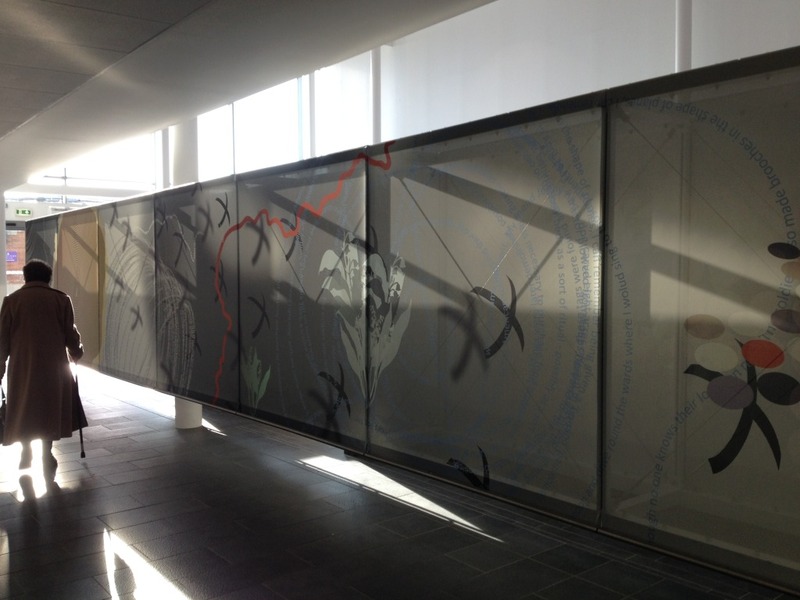 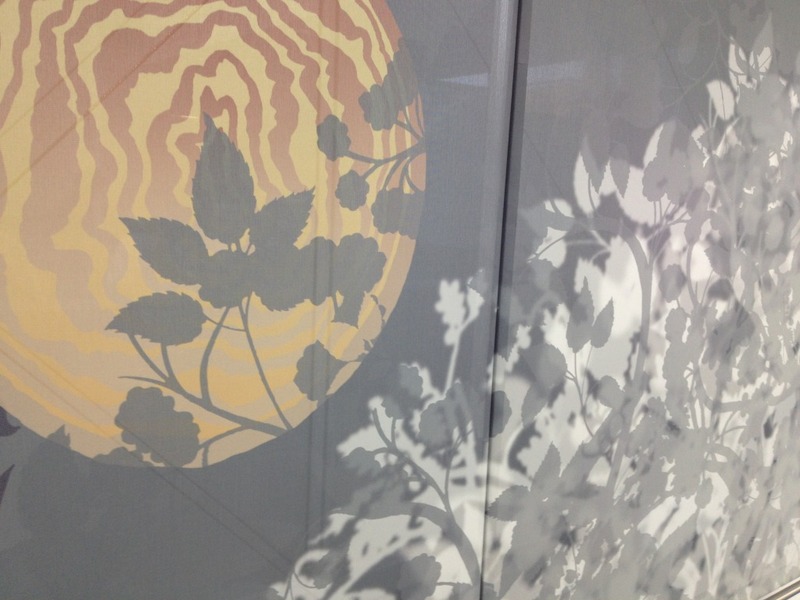 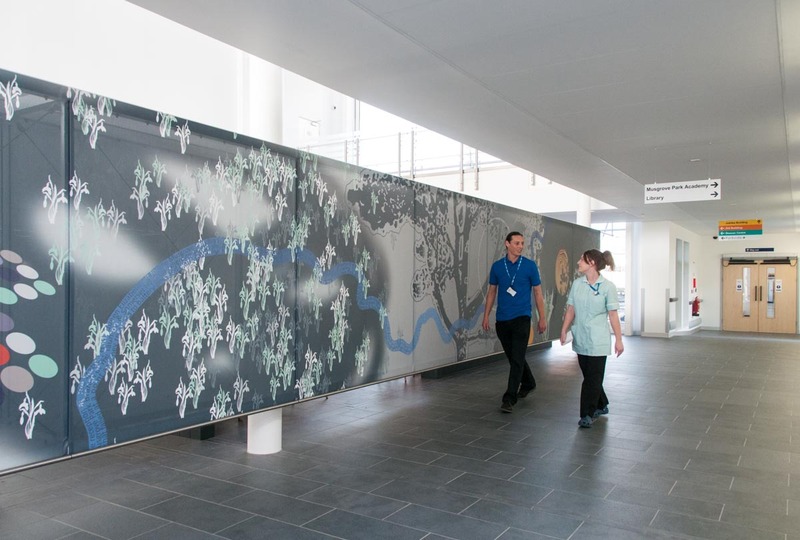 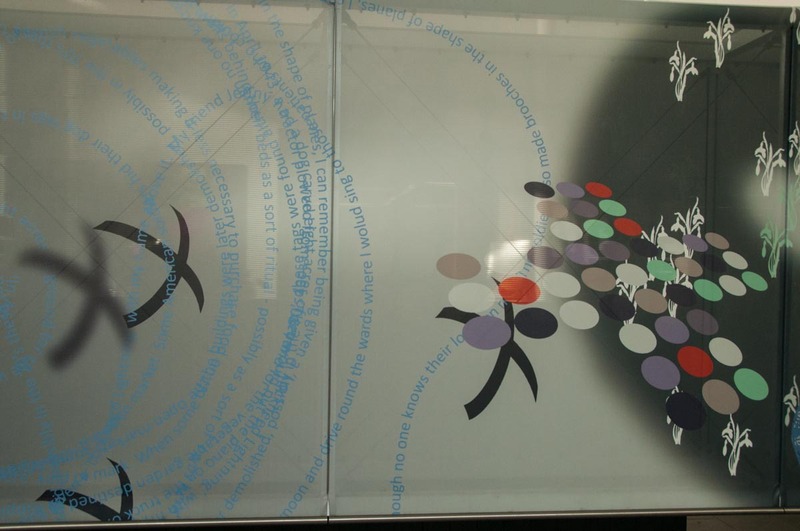 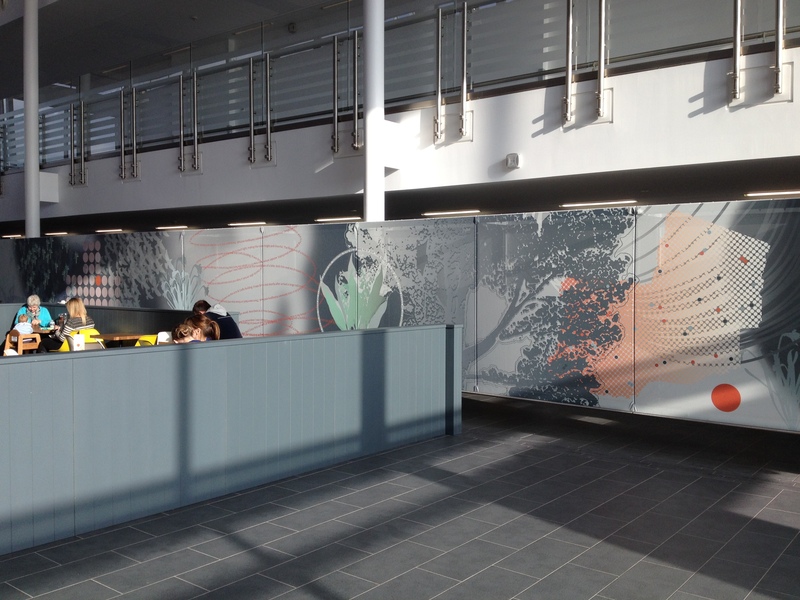 More great images of my projects at the Jubilee Building have come in from Lisa Harty, Art for Life at Musgrove Park Hospital. 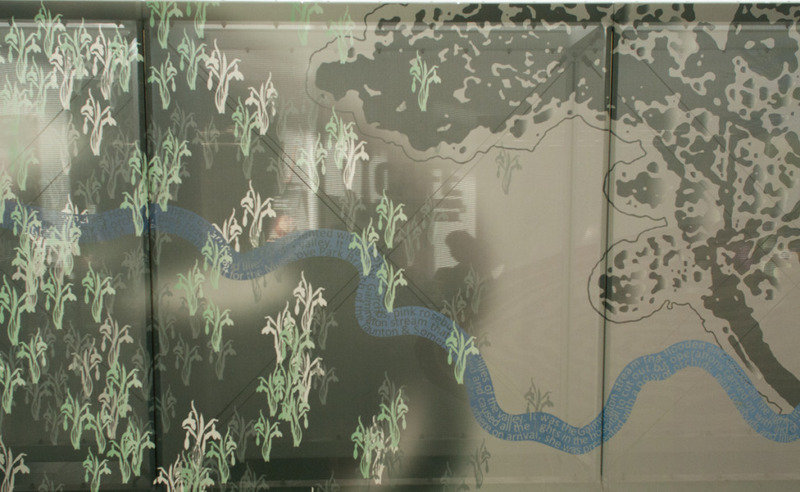 She has had images taken by Corbin O’Grady Studio. 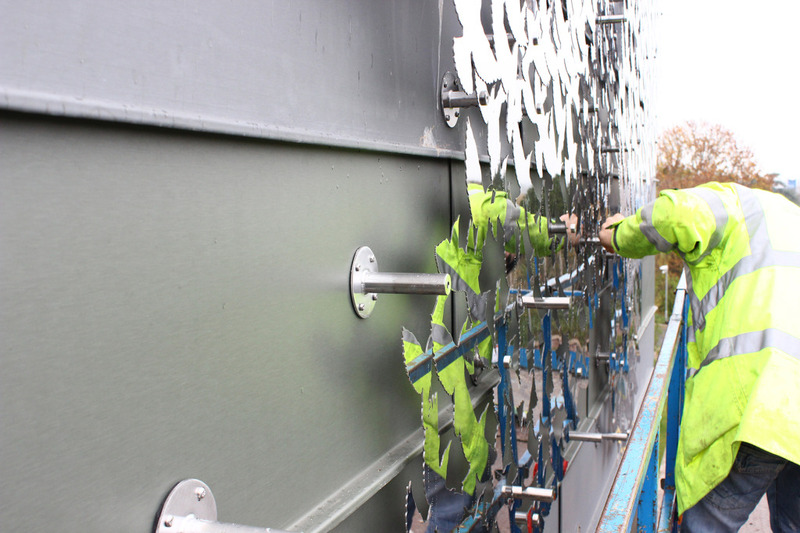 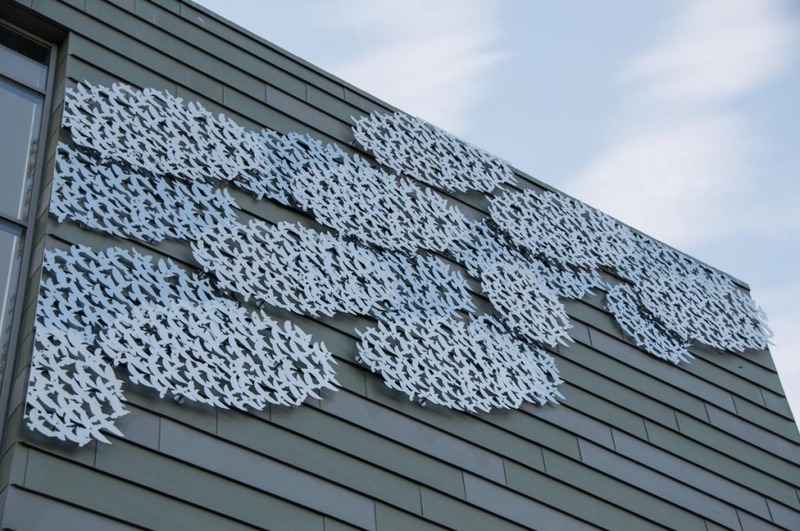 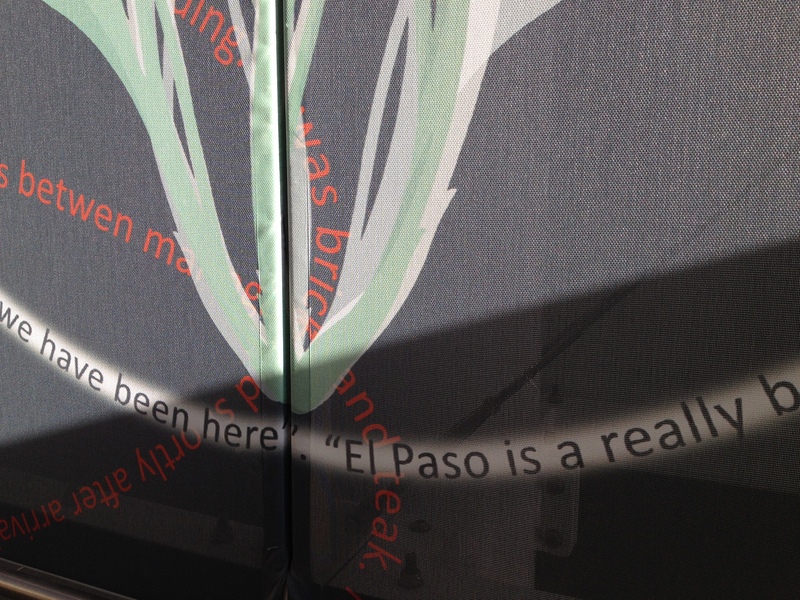 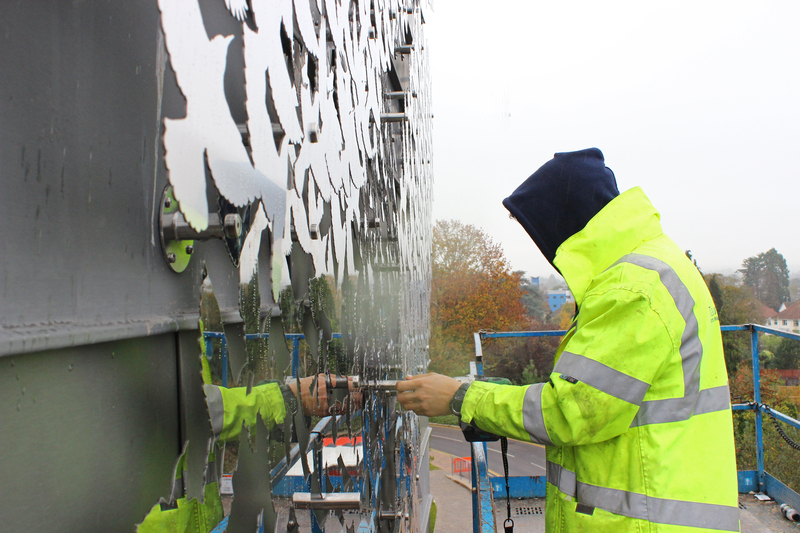 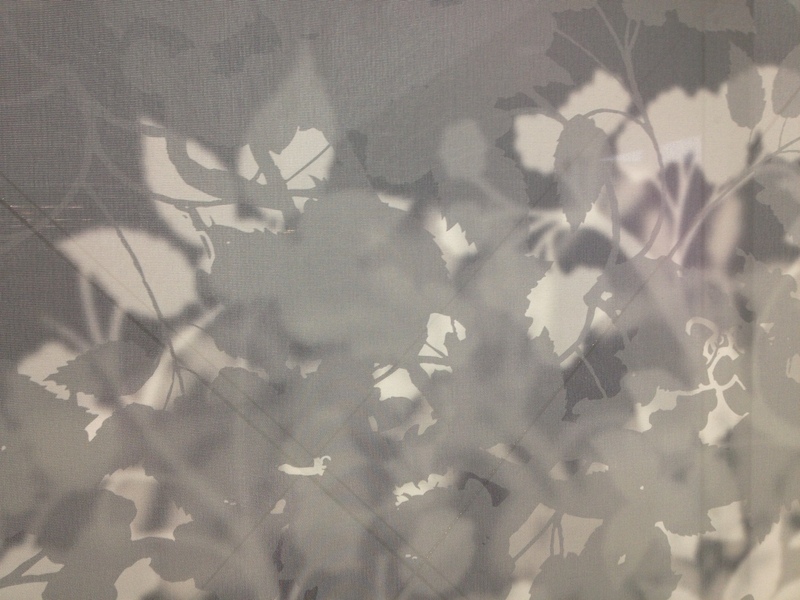 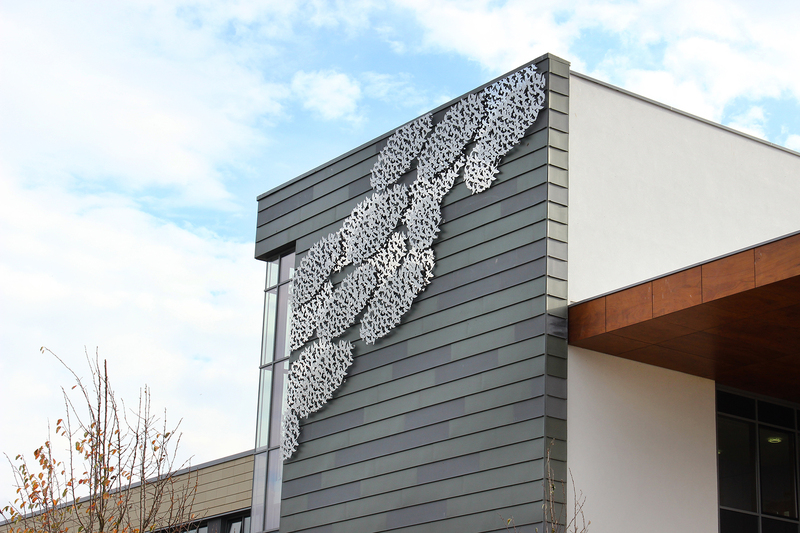 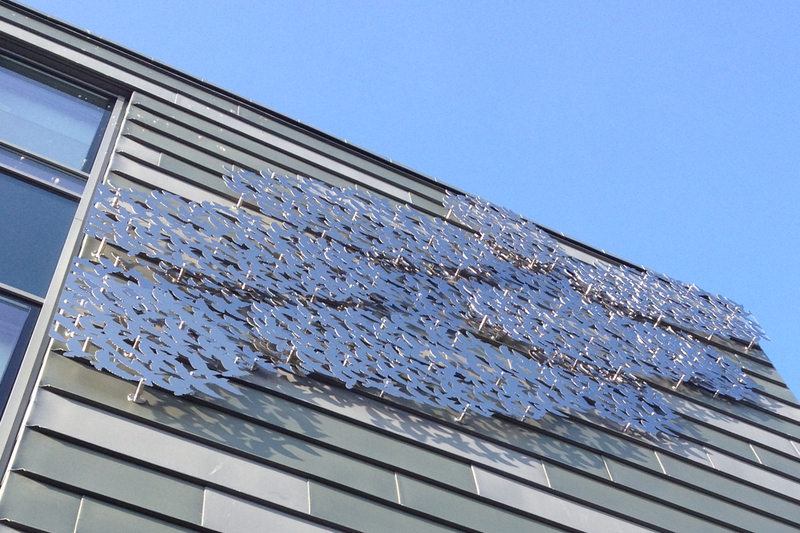 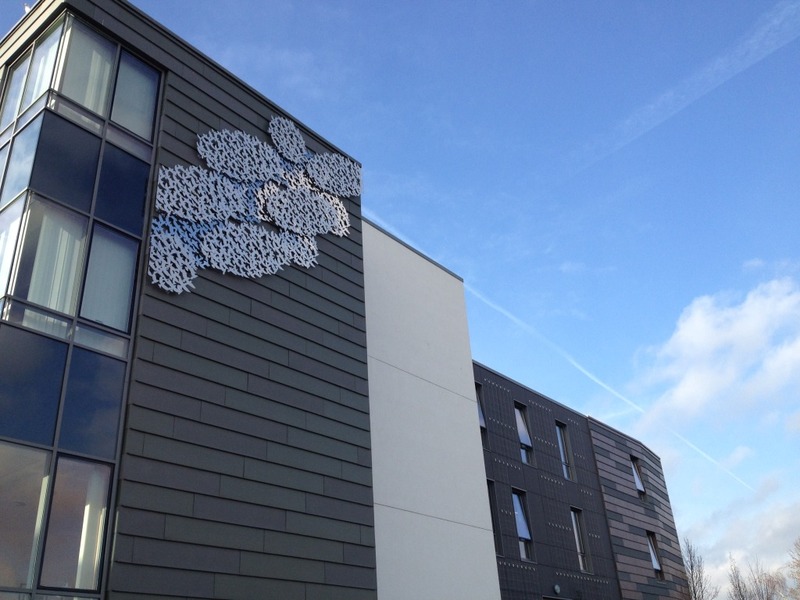 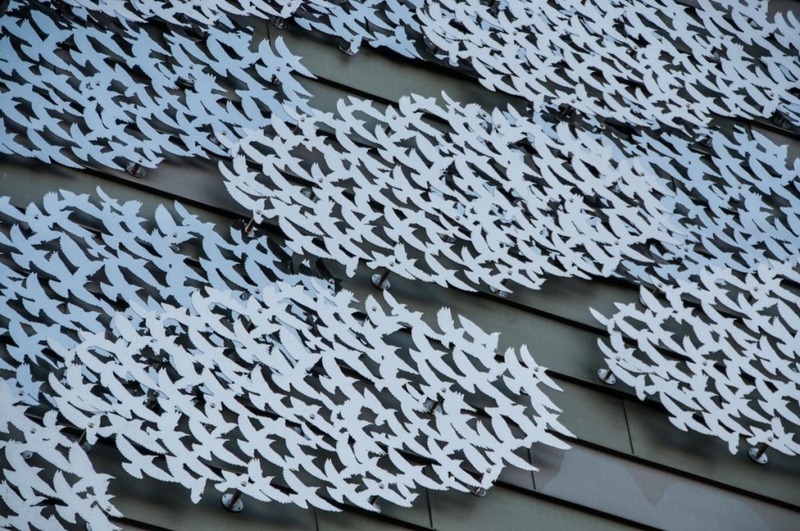 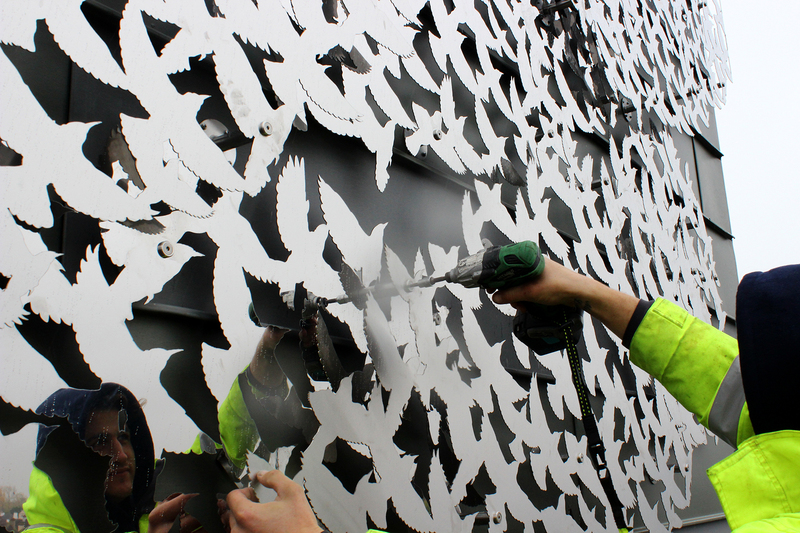 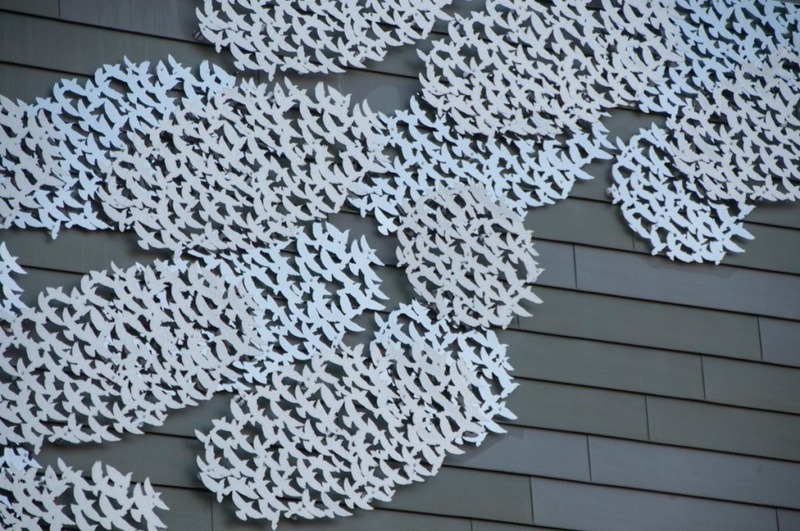 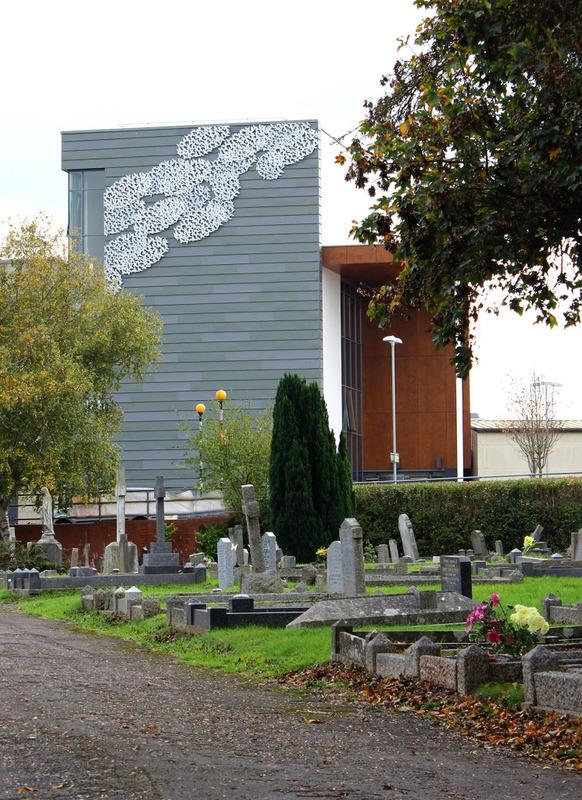 Laser-cut stainless steel panels – affixed to the building elevation. 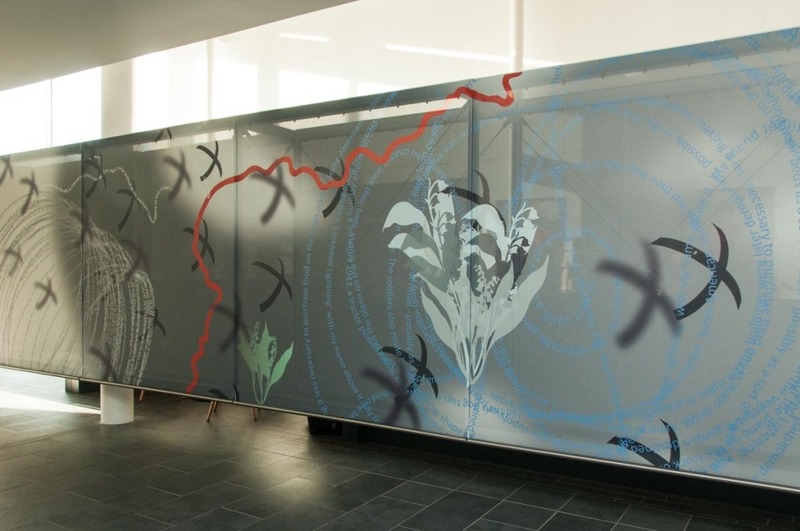 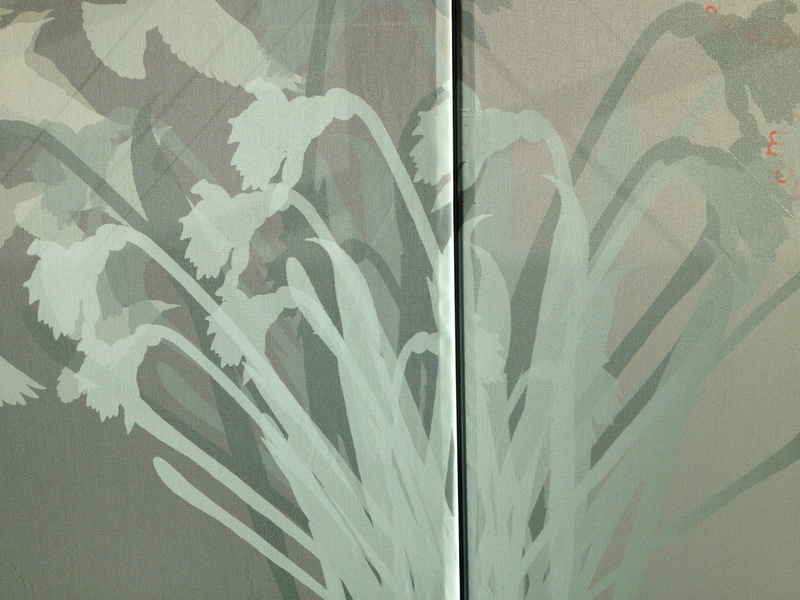 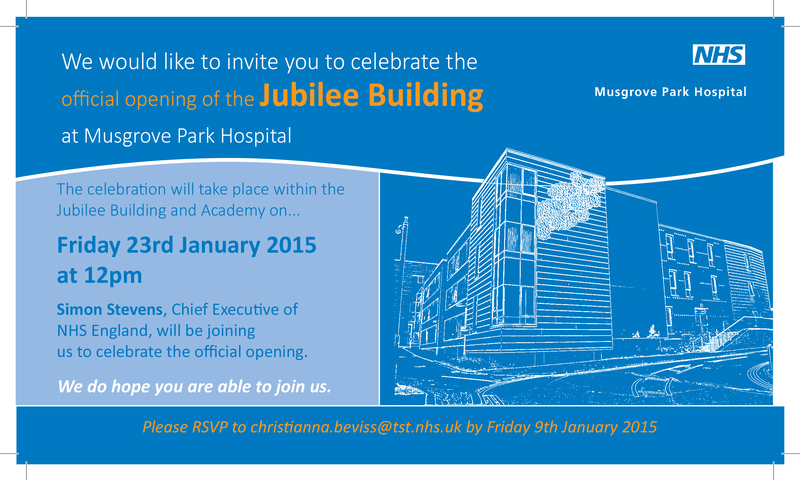 I have been associated with Musgrove Park Hospital since 2005, when I was appointed as Lead Artist for External Spaces, a role specifically commissioned to influence the design process of the Hospital Trust’s 10 year development plan, particularly in regard to external landscape. It resulted in a Design Vision document issued in 2006. 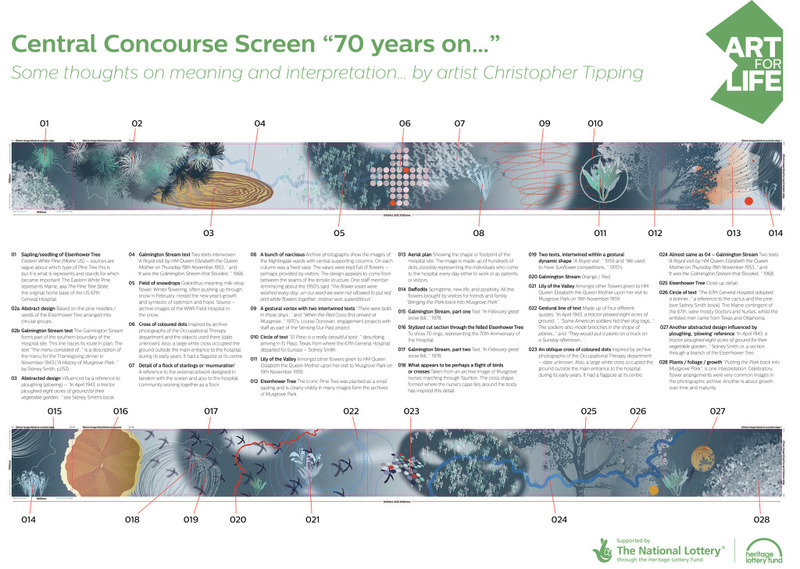 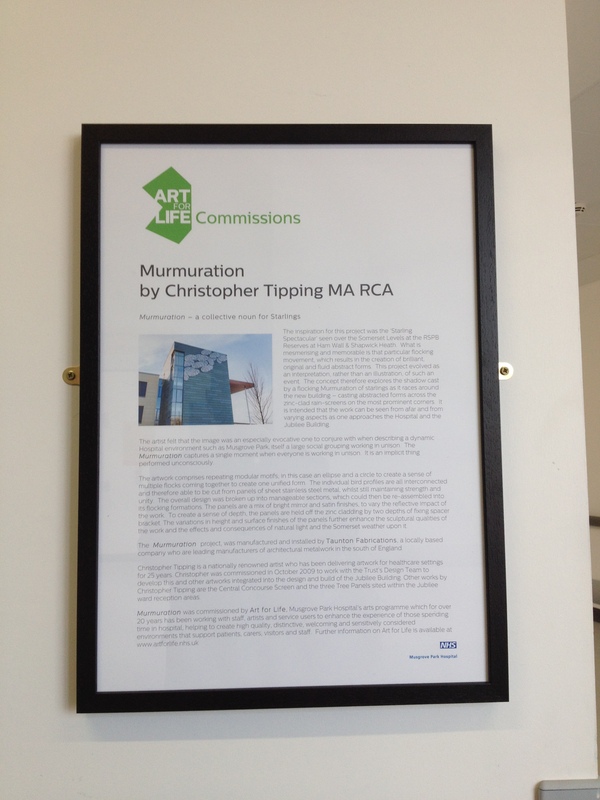 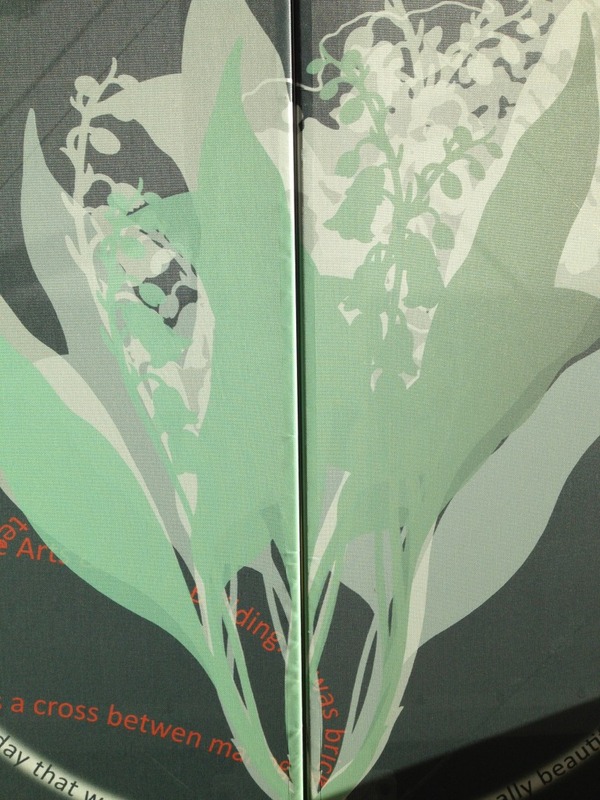 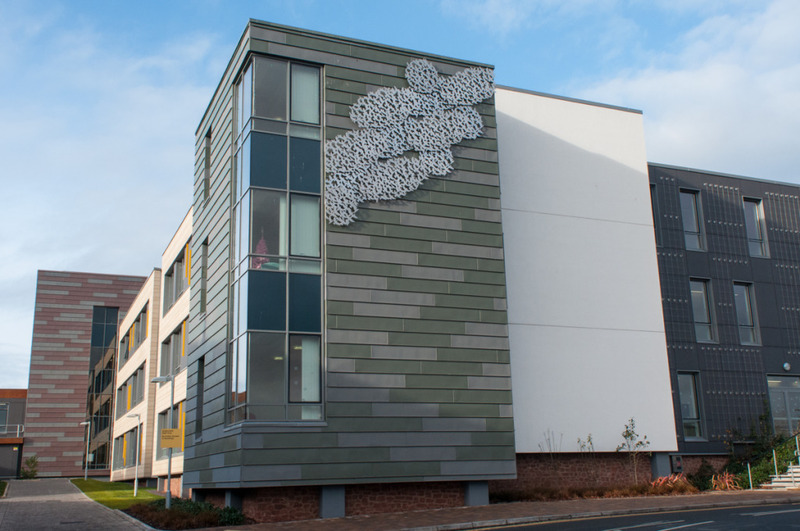 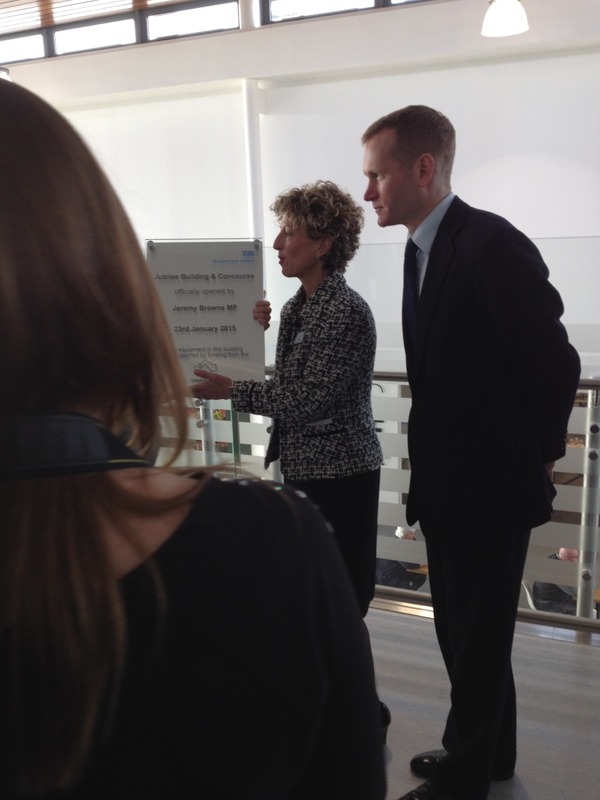 This project was managed on behalf of the Trust, by the Art for Life Co-ordinator, Bronwen Gwillim, with whom I collaborated until 2012, when she left the post. 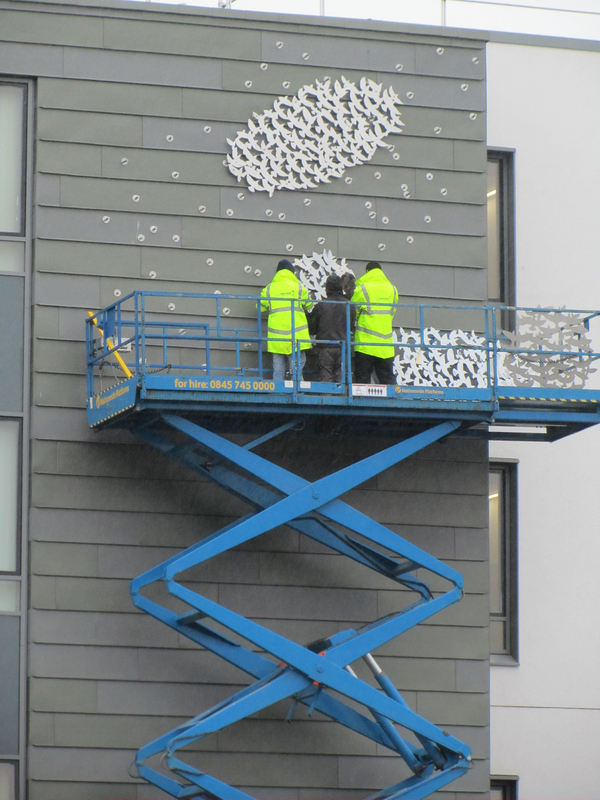 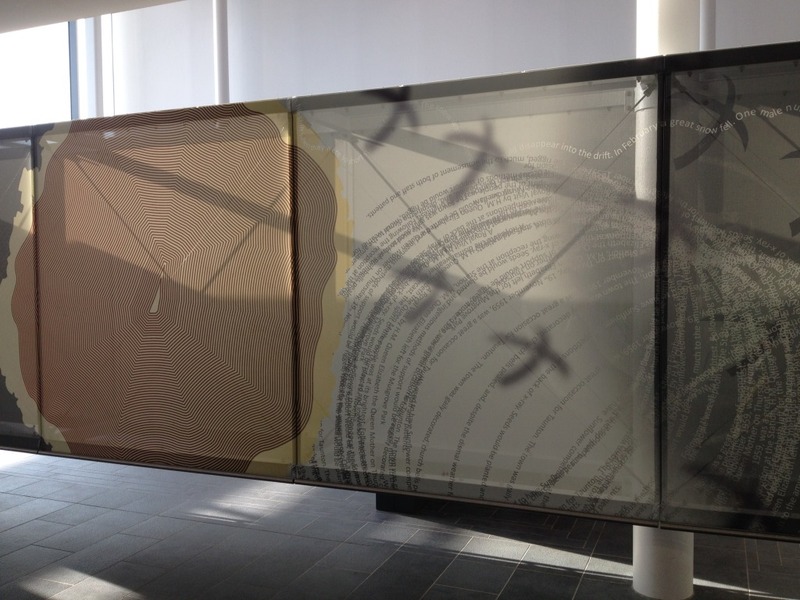 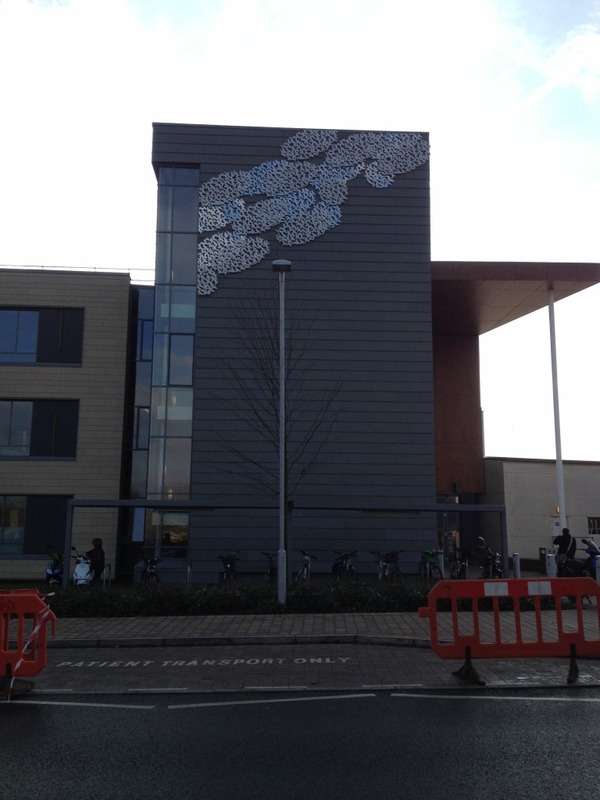 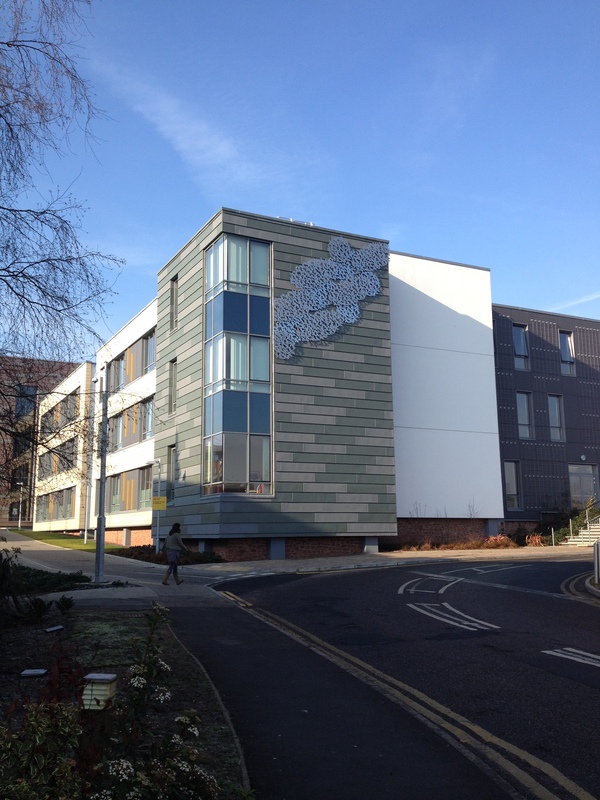 The ‘Murmuration’ project, which has just been manufactured & installed by Taunton Fabrications is one element of a wider interpretive art project I made in response to the development & construction of the new Jubilee Building Surgical Unit for Taunton & Somerset NHS Foundation Trust at Musgrove Park Hospital. 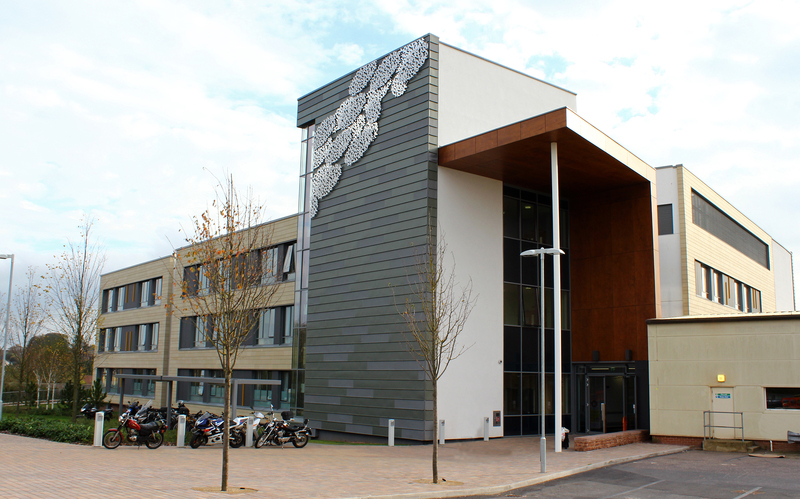 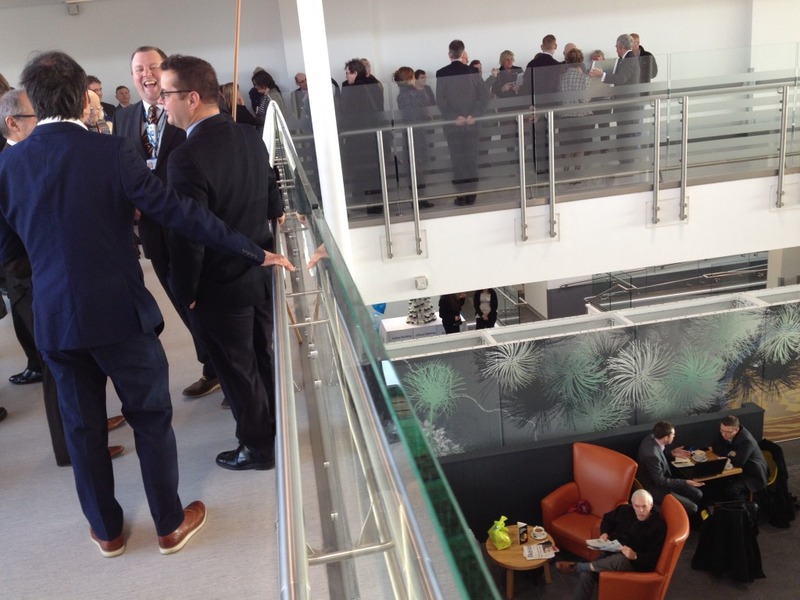 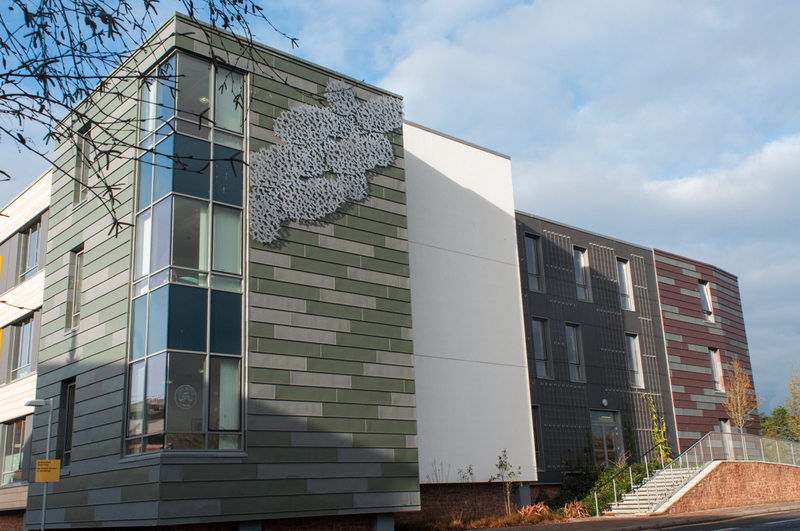 This new build project was managed by Steven Power, Senior Project Manager, Capital Projects Office on behalf of Taunton & Somerset NHS Foundation Trust. 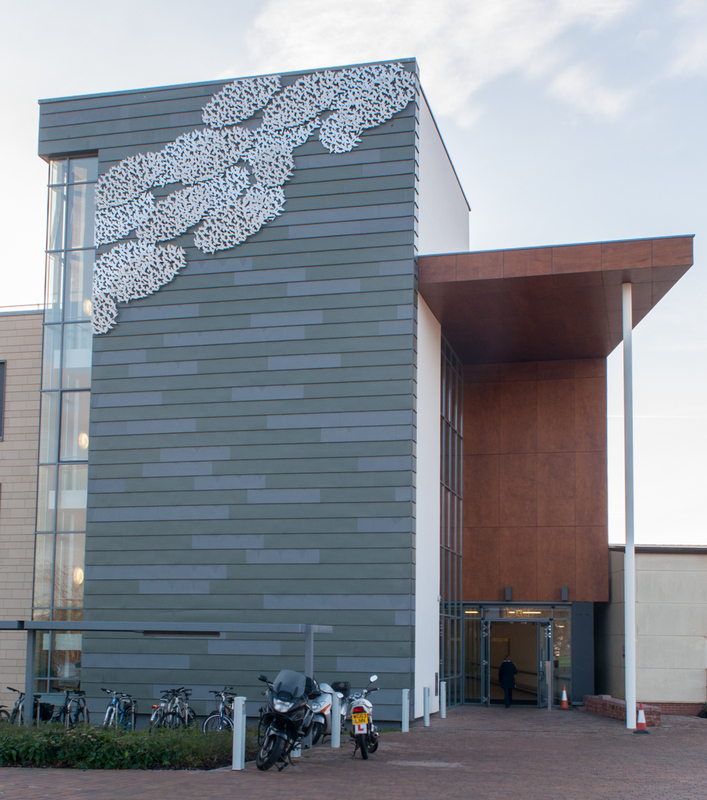 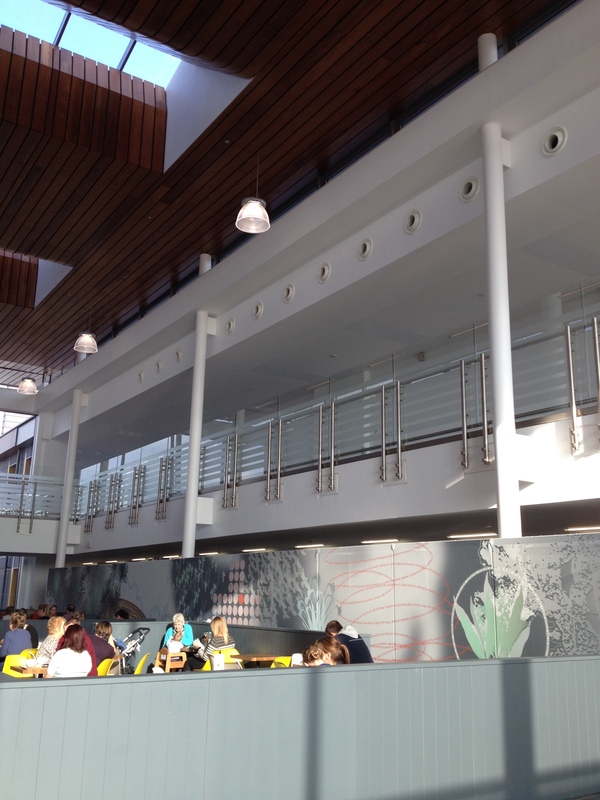 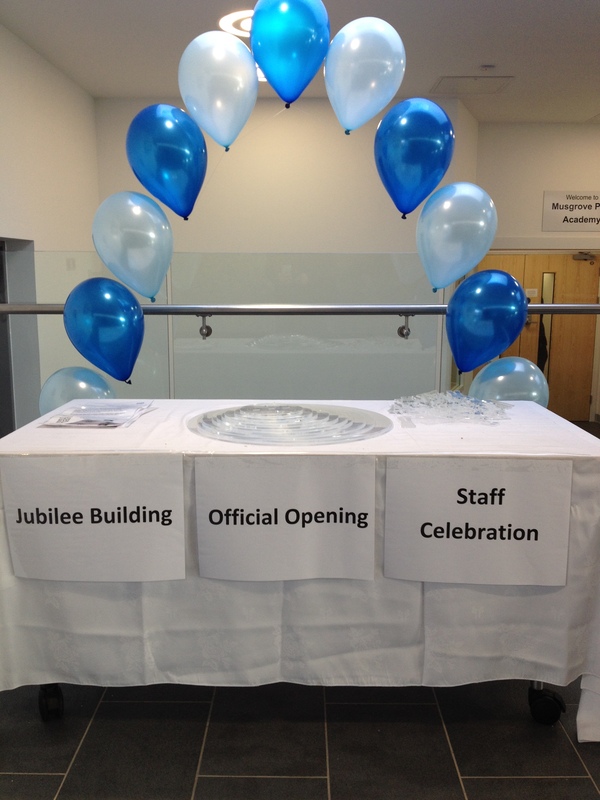 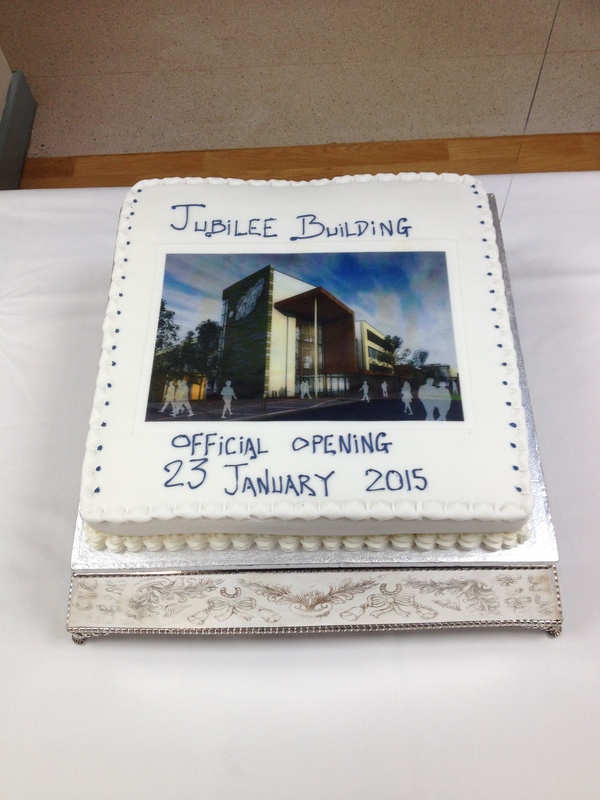 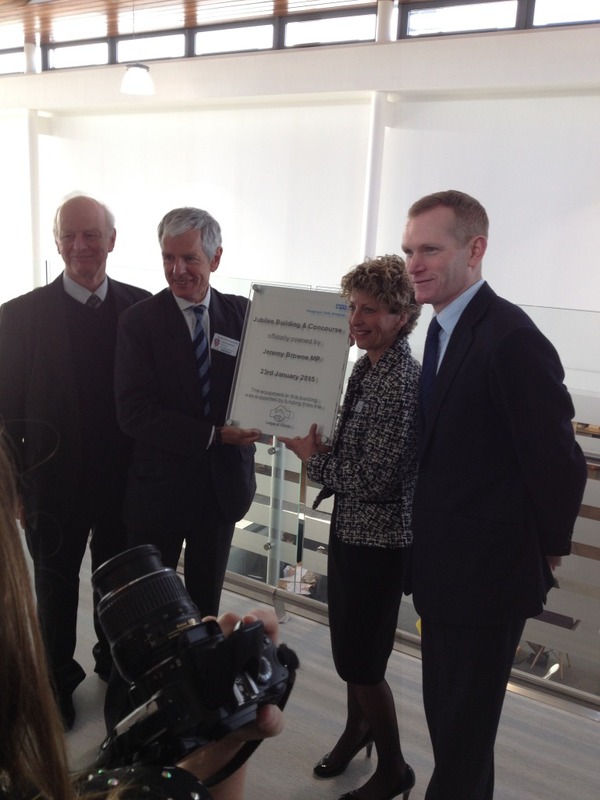 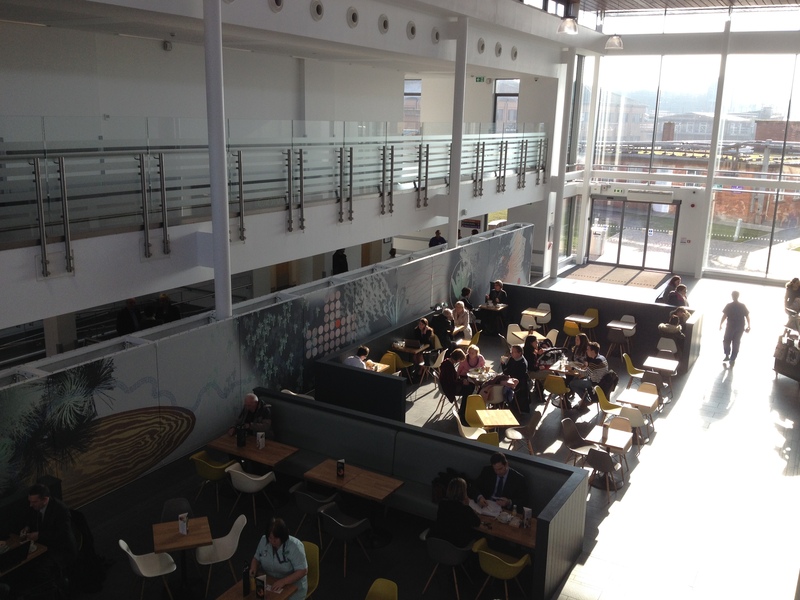 The building was delivered by BAM Construction and designed by BDP Architects. 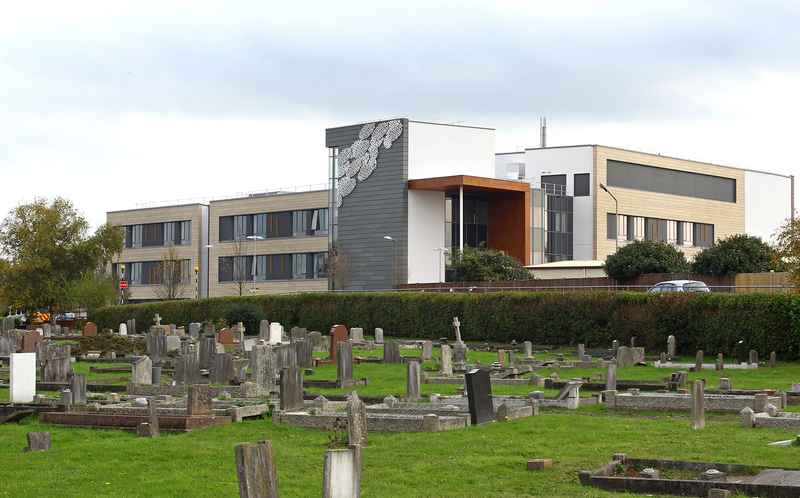 It opened in April 2014. 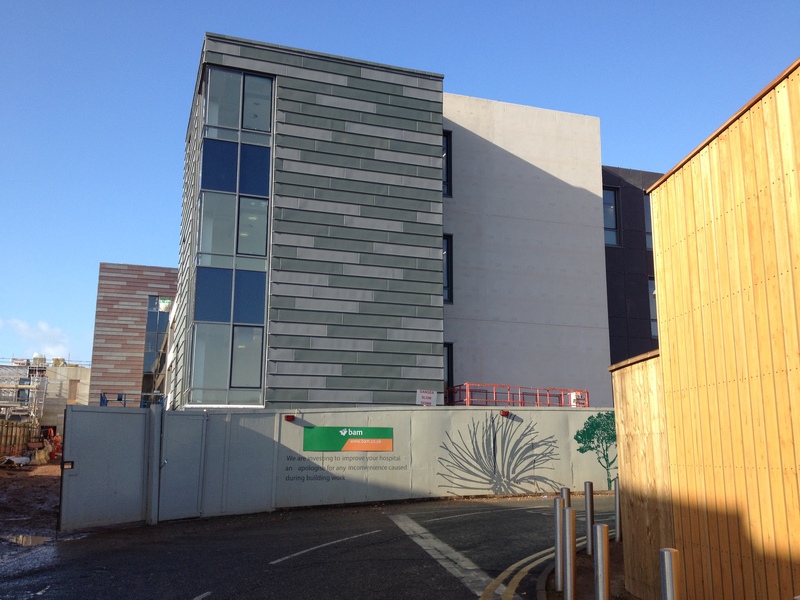 The patterning, colour and proportion of the zinc panelled external elevations of the new building. 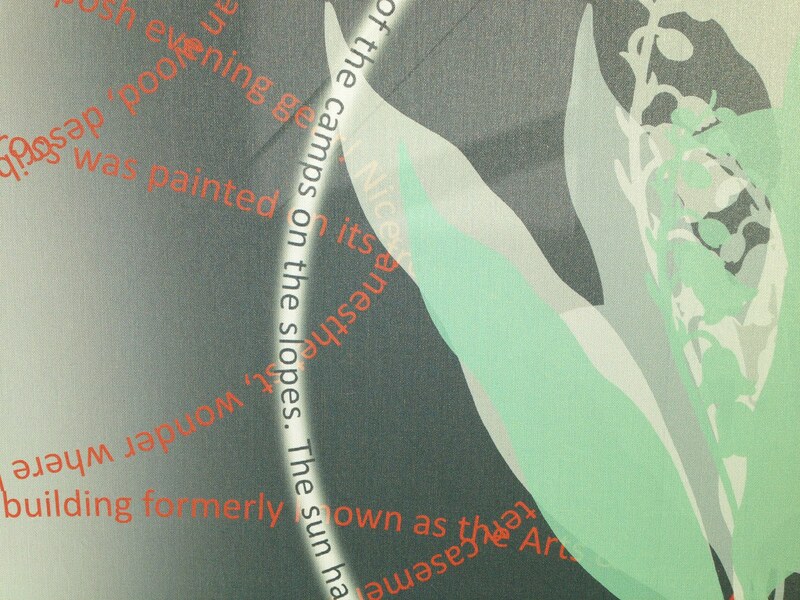 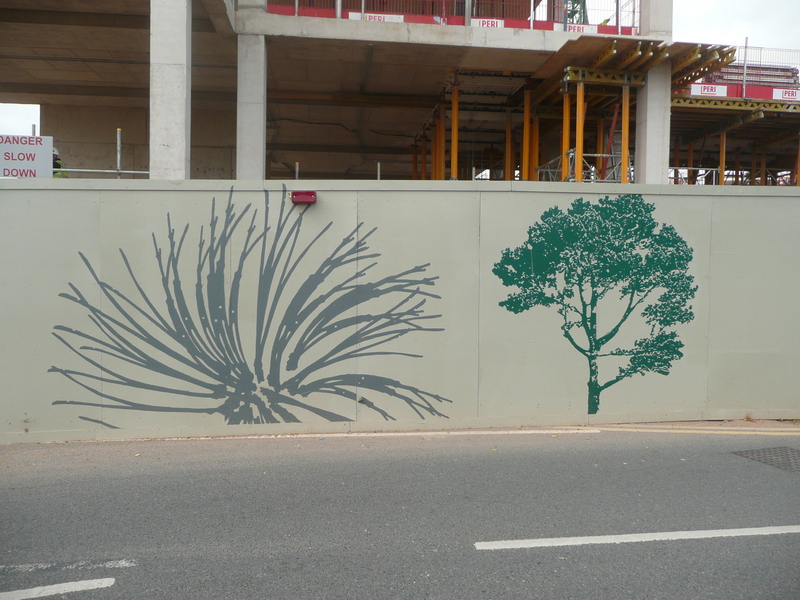 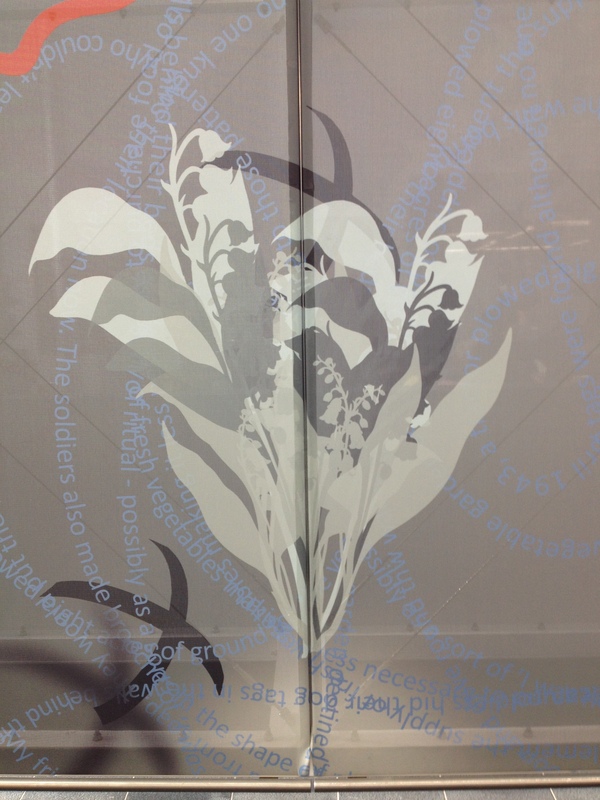 Hoardings artwork for the new building during its 2 years on site. 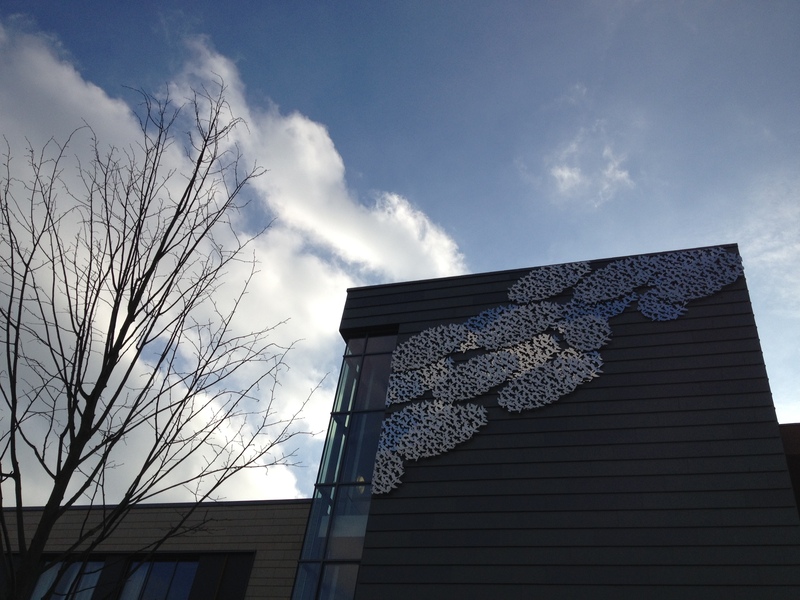 Some images posted below. 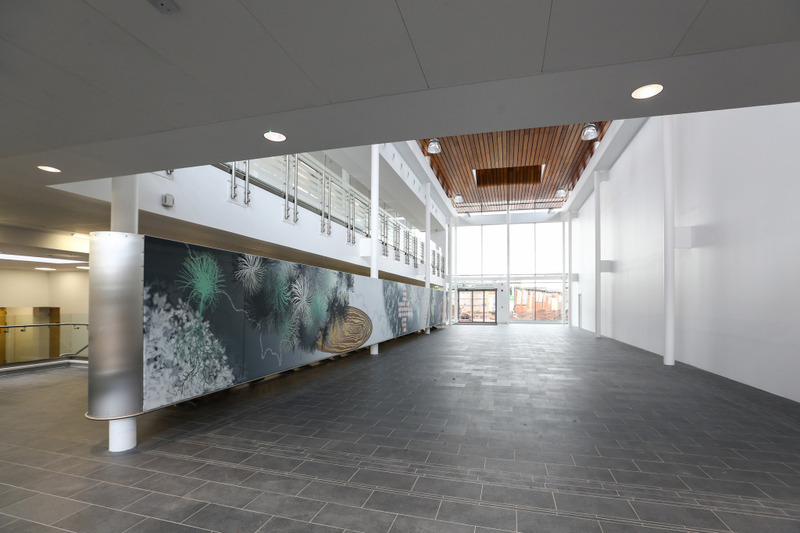 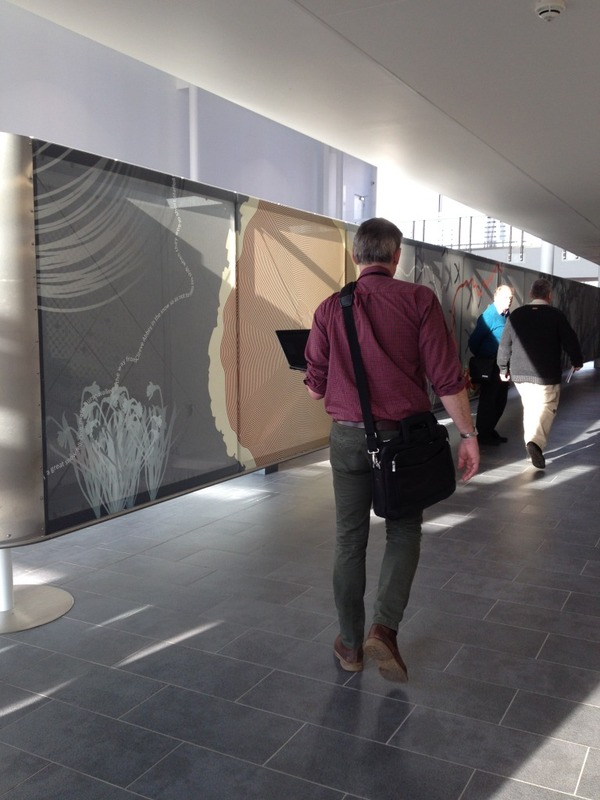 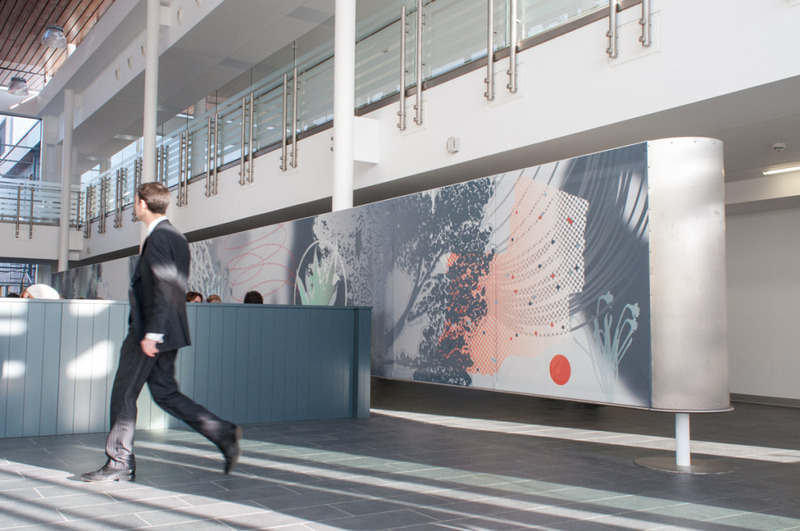 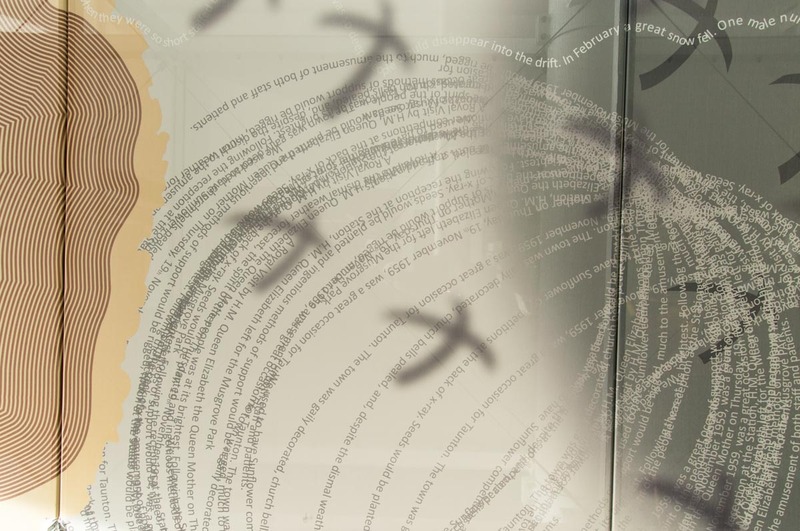 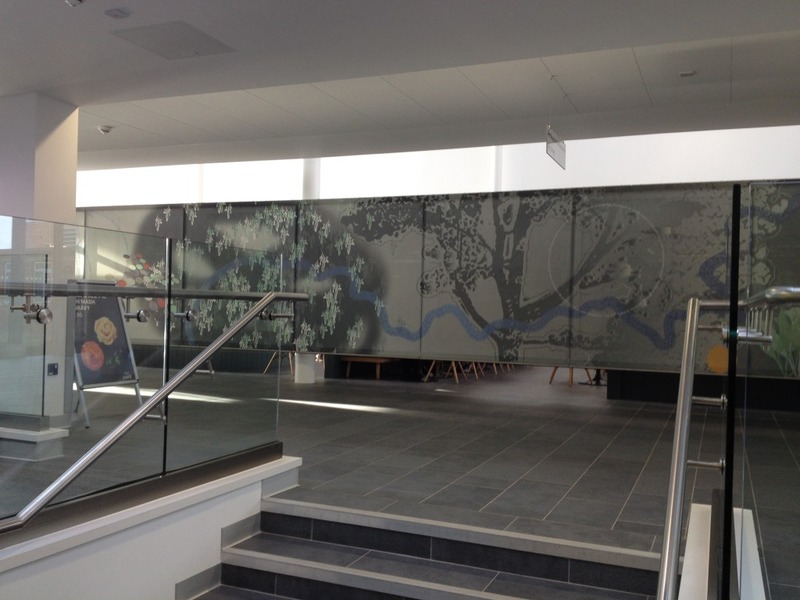 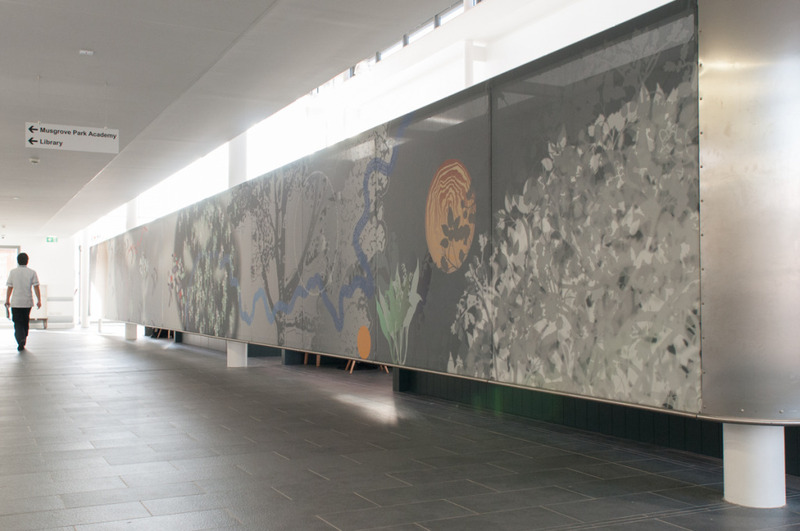 Creative collaboration & input into the E Tree Panel Project, which used the timber from the iconic Eisenhour Tree planted during WWII (which had to be removed to enable the new build) to create a wall based artwork for the interior of the building.